(Gallatin County, Mont.) Two rescues 120 miles apart sent Sheriff’s SAR out today. At 11:00 a.m. West Yellowstone Police Department dispatch received a call from a man reporting that his son had sustained a broken leg in a snowmobile crash near junction 8 on the Two Top trail approximately 5 miles west of West Yellowstone. Initial information received from the call indicated that the injured snowmobiler had struck a tree after attempting to maneuver through a rough corner on the trail. Personnel from the Sheriff’s Office Search and Rescue West Yellowstone Division responded. Rescuers found the 14-year-old male from Salt Lake City Utah, only to discover that he had no injuries aside from a possible sprained wrist. The snowmobile rental company was contacted to facilitate removal of the damaged snowmobile. After checking the patient for additional injuries, the rescuers cleared the scene and returned to West Yellowstone. 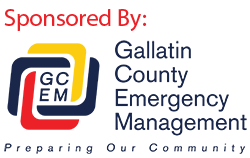 Gallatin County Sheriff Brian Gootkin would like to remind know become familiar with their equipment and more importantly to ride within their skill level and stay on marked trails. Low temperatures common in the area combined with an inoperable snowmobile can quickly lead to a dangerous situation. Secondly at 2:30 SAR volunteers were sent to the area below Saddle Peak just outside the boundary of Bridger Bowl. A 54 year old Bozeman man had fallen and sustained internal injuries in an area know as the Cueball. He was skiing alone but other local skiers observed the crash and called for help. He was transported to the Bridger Bowl Patrol Room and then transported by ambulance to the hospital. Sheriff Gootkin reminds skiers that the area out of bounds at Bridger is not covered by the ski patrol. It is not controlled for avalanches and rescues can be delayed as volunteers from the valley need to respond from Bozeman. From all of us at the Sheriff’s Office, Happy Holidays. Get out and get active in our great outdoors. We’ve got your back.